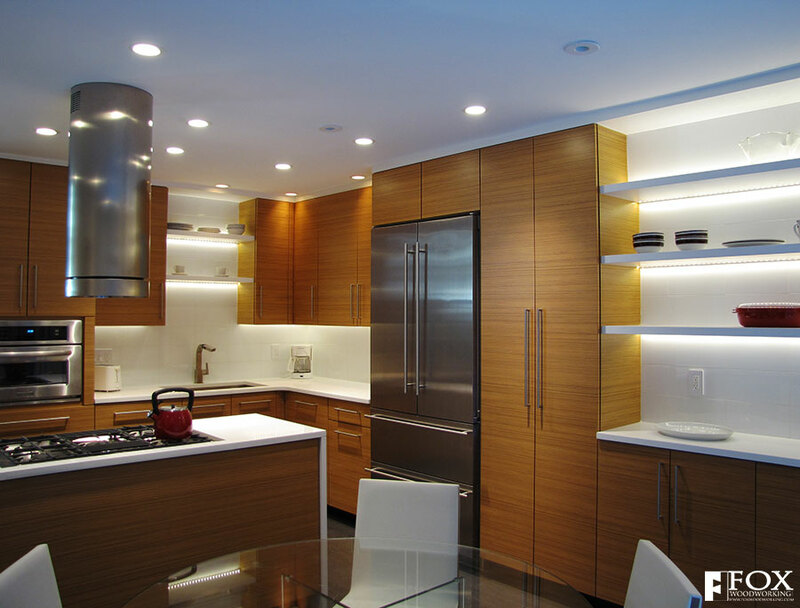 The lighted shelves in this kitchen create a dynamic display space. They also break up what could have been a long row of tall cabinets while preserving the storage space. The light reflects off the white glass tiles and illuminates whatever you choose to display, such as, glassware, fine china, art, or memorabilia. 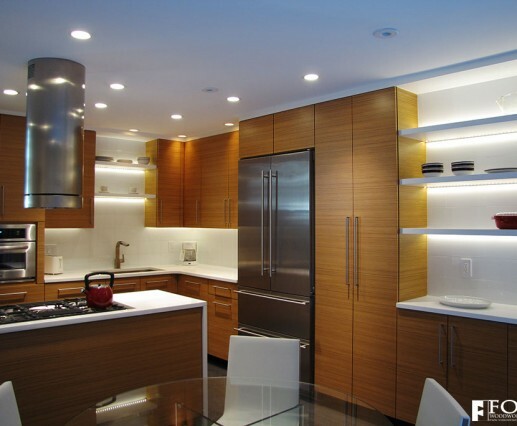 The light is provided by LED strips that are recessed into grooves in the shelves. The shelves are solid wood so that they will not flex over time. The white finish is a pigmented conversion varnish.